OMAHA, Neb. – Arkansas’ Luke Bonfield smacked a two-run home run to left-centerfield off Texas right-handed pitcher Nolan Kingham in the bottom of the fifth inning to put the Razorbacks ahead 3-2 at TD Ameritrade Park Omaha on Sunday. Although the first five innings were competitive, Arkansas cruised past Texas 11-5. 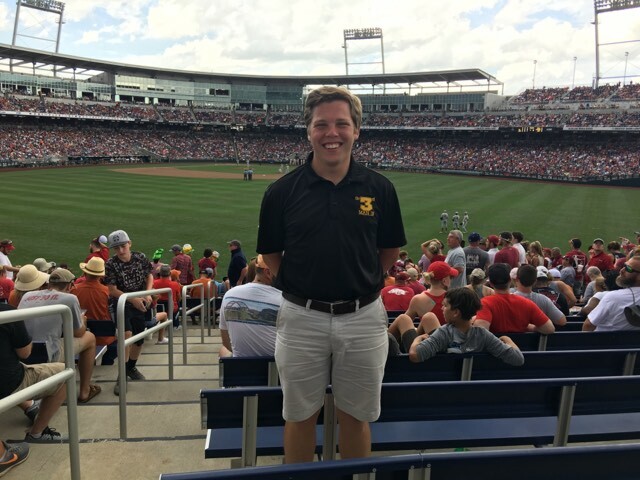 Attending the 2018 College World Series was a unique and thrilling experience, even with a 2-hour, 49-minute weather delay. 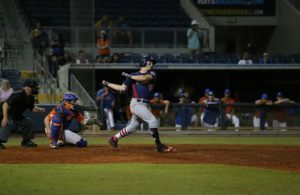 Baseball fans from across the country convened for Day 3 of the 10-day tournament, which determines the NCAA Division I college baseball champion. 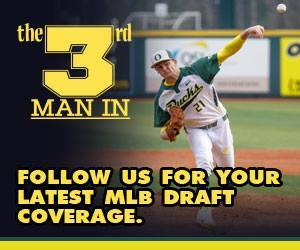 Two high profile 2018 MLB draft prospects in Arkansas righty Blaine Knight and Texas second baseman Kody Clemens highlighted the matchup. Both were third-round picks in this year’s draft. 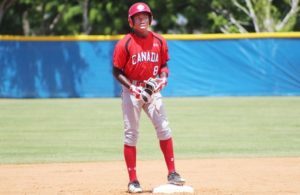 I interviewed Knight to discuss his development and season at Arkansas in April. Knight didn’t disappoint on Sunday. 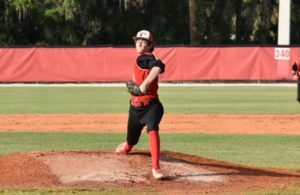 Although it wasn’t his best performance, Knight remained undefeated this season, pitching five innings with four strikeouts while allowing two runs, four hits and one walk. He located his fastball well and kept hitters off-balanced with his slider. Clemens, the son of legendary MLB pitcher Roger Clemens, is a finalist for The Golden Spikes Award, but he had a tough day. The Arkansas pitchers attacked and challenged Clemens to hit strikes but he went 1-for-6 at the plate. TD Ameritrade Park Omaha is a beautiful park for the College World Series. The home of Creighton University, the venue is in downtown Omaha and has great sight lines from every part of the ballpark. From the first pitch Knight threw to the final out, fans were attentive and loudly cheering on their respective team. It was an entertaining matchup between two well-regarded baseball programs and an experience I will never forget.